Roast barn reared chicken and coleslaw made with extra virgin rapeseed oil mayonnaise. Friday 5 October, A Chest Cold…. 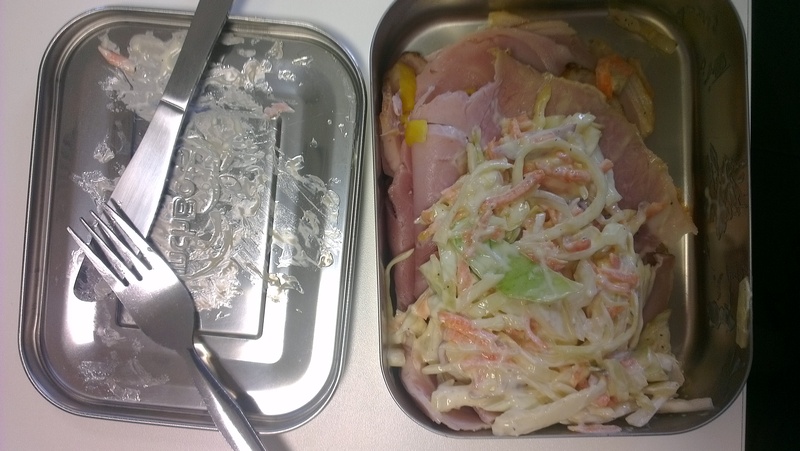 Lunch however was simply roast ham and coleslaw.